Contains the following to entertain 200 guests. 16 mm Film: 14 Sealed Races– You receive 14 Selections of Races; pick any random 6 to Insure No One Knows Which They are Betting On. 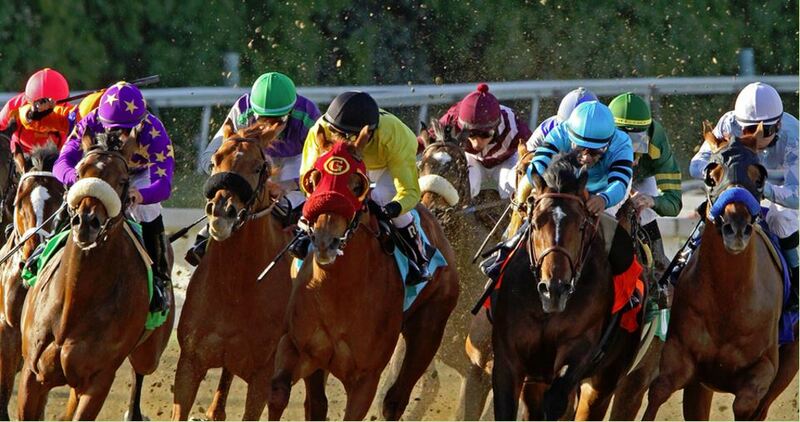 You will receive a variety of races with 8, 9, 10 or 12 horses in each race. Same material as listed above, except racing film is divided among a mixture of thoroughbreds, harness and greyhound races. Not available on video or DVD. All video and DVD packages contain all races on one tape. All Thoroughbred Packages available on video and DVD.